A free Appliance Energy Calculator app has been developed by the Department of Energy with support from Global Environmental Facility (GEF) and the United Nations Development Programme (UNDP). This app calculates the estimated running costs and greenhouse gas emissions of appliances such as fridges, dishwashers and light bulbs. It also allows users to quickly and easily compare two of the same appliances (e.g. two air conditioners or two tumble dryers) in-store in terms of the appliance’s long-term running costs, total cost (including purchase price) and greenhouse gas emissions (in kilograms of carbon dioxide emitted). 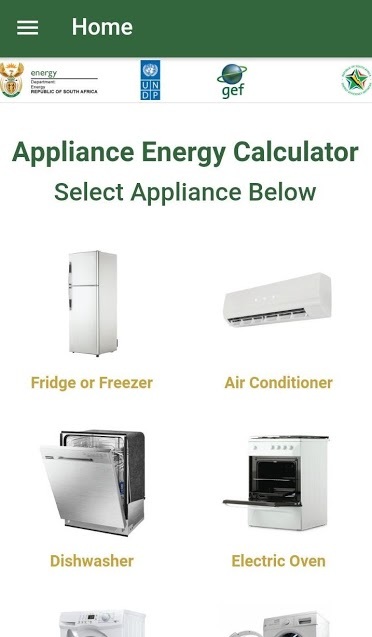 The Appliance Energy Calculator app is available for Android users on the Google Play App Store (click here), as well as for iOS users on the iStore (click here). 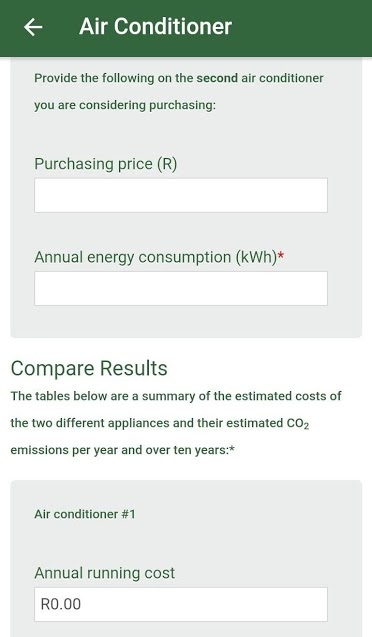 The Appliance Energy Calculator has been designed to use the information supplied on the South African Energy Efficiency Label attached to the appliance in-store. The purpose of the South African Energy Efficiency Label is to ensure that consumers are informed about the relative energy efficiency of an appliance before they decide to purchase it. 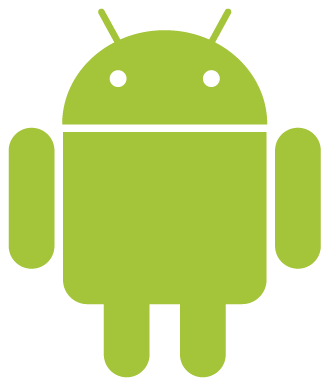 The app assists users to calculate the energy costs associated with an appliance based on the information supplied on the South African Energy Efficiency Label. The Appliance Energy Calculator also estimates the carbon dioxide emissions of running various appliances. This allows consumers to understand the likely emissions of their appliance before making a decision to purchase.